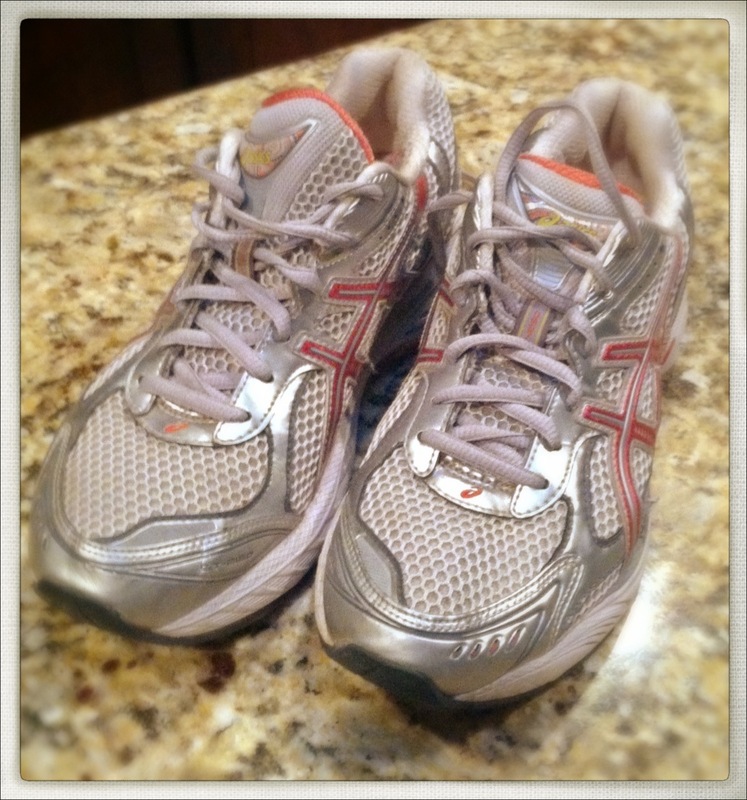 Real Runners Wear Real Running Shoes | Kitchenpants! This is my first pair of running shoes. That is not to say that this is the first pair of shoes in which I have ever run. When I started running, I took to the streets in an older pair of cross-trainers that I purchased more for the hot pink and grey color combination than for anything else. I reasoned that I would not spend money on running shoes until I could commit to running on a regular basis. Then, once I actually started running on a regular basis, I talked myself out of shoes until I could run 2 consecutive miles without stopping. When I could do that, I still talked myself out of the purchase until I could run a 10-minute mile. And before you go thinking that all this took place over a matter of weeks, let me tell you – it took a long time to teach myself to run. I started out in intervals running 1 minute and walking 3 minutes and wondering how I was ever going to string 2 running minutes together. A quick lap around Twitter and Facebook tells me that I am not the only newbie runner to hold off on buying the first pair of real running shoes. Whether you are waiting for a certain distance or pace or level of commitment, our reasoning seems to come down to this: We wait until we feel like we can call ourselves runners before we decide to dress the part. How ridiculous is this? How many times have you said or heard a version of this: “Well, I run but I wouldn’t say I’m a runner” or “Oh, I’m not a real runner…I never run more than a few miles at a time” or “I run one mile in 12 minutes – I’m so slow! A real runner would be faster”? Why are newbies so hesitant to identify themselves as runners? Listen, if you run then you are a runner. There’s no qualifying distance or pace or level of commitment. 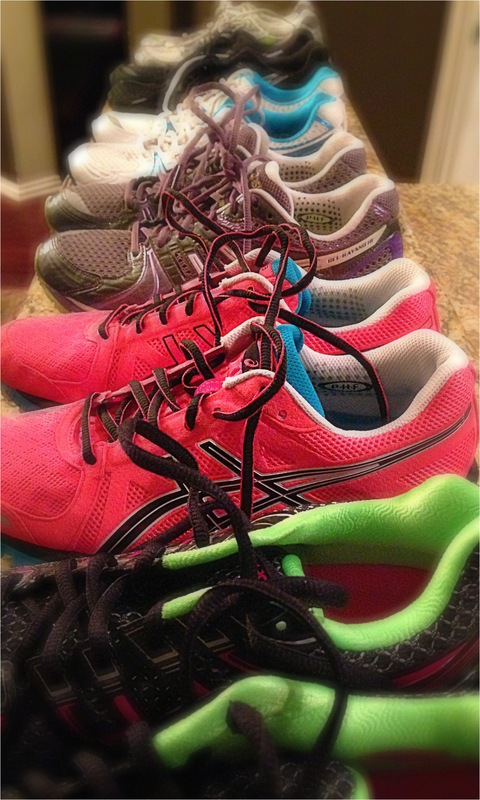 The running community is an accepting one and you are welcome…as long as you are wearing proper shoes.